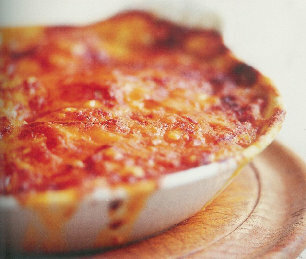 If I could only eat one more meal, it would have to include Gratin Dauphinois... the ultimate potato dish. Although it takes 90 minutes in the oven, it's great to make ahead for a dinner party as it needs no last-minute preparation. 1. Heat the oven to 150C. 2. Rub a large shallow ovenproof dish with the halved garlic clove and a little butter. 3. Put the remaining butter with the cream in a large saucepan and bring just to the boil. Crush what's left of the garlic and add to the cream, along with seasoning. 4. Peel the potatoes and slice them very thinly using a food processor (or mandolin if brave). 5. Add potatoes to the cream and gently simmer for 8 minutes. 6. Transfer to the prepared dish, spread out evenly, top with the gruyère cheese and a little more seasoning. 7. Bake for 1 and a half hours. Serve hot.